« Autumn at Central Florida B&B! 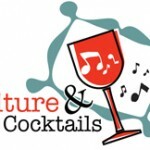 Culture & Cocktails in Maitland, Central Florida! 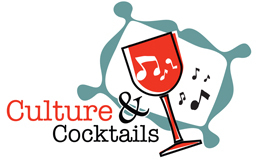 Culture & Cocktails Join us for the not-to-be-missed social event for art lovers! Our first event of the 2011-2012 arts season takes place on Friday, November 11, 2011 from 6:00 to 9:00 PM, both inside and outside of the Maitland Art Center’s Germaine Marvel Building. Guests are sure to enjoy this evening of art, music, poetry, food and fun! The Germaine Marvel Building will be filled with the artwork of esteemed artist Yatin Patel, from his series entitled SUTRA. The artist writes, “SUTRA – an ancient sanskrit (historical Indo-Aryan language 1500 AD) translated as ‘a thread or line that holds elements together.’” In this collection, Yatin reveals the beautiful textural fibers that are woven into the environments of present-day urban India, evocative of its ancient society and civilization at large. The evening also features music by Gruda & Yoho , a 2-man band born in early 2011. Gruda plays guitar and sings. Yoho beatboxes and plays bass guitar. Additional objects and electronics also utilized to create their unique sound. Their mostly original material fuses funk, rhythm & blues, jazz, psychedelic rock, and hip-hop (beats), into one sonic blend. Music is generously sponsored by Performing Arts of Maitland. Renowned poets Terry Thaxton and Elaine Person from Maitland Poets and Writers are also featured in the evening’s festivities, and will be performing poetry readings at select times during the evening. Additionally, artists from the Art & History Museums – Maitland’s Sketch Club will show off their talents as they sketch outside in the courtyard throughout the evening. Patrons will not leave hungry, either, as Big Wheel Provisions will be on hand with their popular Food Truck. Big Wheel Provisions is a catering and charcuterie company located in Orlando, and owned by Chef Tony Adams and a group of people dedicated to creating amazing food. Admission to this artistically fun event is $5, and includes one drink ticket. Guests who sign up for a membership to the Art & History Museums – Maitland, which will be offered at half price that evening, receive free admission and a complimentary drink ticket.